Body cleansing was once considered a practice used only by health nuts. But it is now becoming more accepted as a way to help gain new perspectives on health and life. You can use body and colon cleansing to help you lose weight, regain lost health or even get more energy. But learn the facts, first. It is even becoming accepted in the medical community that our modern day lifestyle brings us into contact with many toxins. Whether is it chemical pesticides used on your veggies and fruits or preservative cooked into your bread, it is hard to avoid contact with toxins. In fact, there are so many chemical toxins in our lives that it is becoming difficult for our bodies to keep them moving out as fast as we consume them. Body cleansing can be a tool to use as a way of helping your body help itself. The right body cleansing program can help you eliminate toxins, break down toxins that are already built up, and pull out toxins that may already be stored in muscle tissue or elsewhere. A body cleanse can be done in a number of ways. In fact, there are other terms to describe a body cleanse including a colon cleanse and detoxification. So which way works for you and your lifestyle? Let’s explore the many options. Diet is one of the first ways that comes to mind for most. Body cleansing foods help your digestion rest so your body can put more energy into the much needed cleansing organs. Eating the right foods will supply minerals, vitamins and nutrients that help your body naturally carry toxins out. 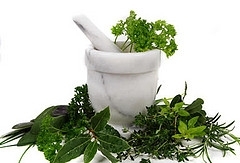 Cleansing supplements will be a big help to your body cleanse. They may be called a colon cleanse, but no matter what the label says they usually all have the same goal – to help your body clear out and eliminate built up waste. Most of them have the herbs necessary to complete a cleanse including goldenseal, marshmallow root, burdock root, or cascarga sagrada, among others. Something to keep in mind is that these cleansing supplements will work far better when a fiber supplement is also used. Fiber adds needed bulk, attracts toxins, feeds good bacteria in your intestinal tract, softens old waste and helps it move out. So choose a good cleansing supplement that includes fiber or add it if your favorite product doesn’t. Many believe that certain types of body work, or body therapy will help your body cleanse. These might include massage, lymphatic drainage or colonics. A fact is that these have helped people for centuries, but today they can be costly. If you choose to use body work to help your cleansing program, don’t count on it to do all the work for you. To get the most for your money, be sure to start taking your supplements, including fiber, and eat a cleansing diet for at least a week before you start. When you choose which body therapy you need, try to do a “series.” Many times the body responds better after more than one session of anything including massage, acupuncture and even colonics. Add to this the fact that a body cleanse takes time. You cannot make it go faster than it already does. Ask the health practitioner or therapist you’re working with to see how many will be beneficial. Following these principles can help your body get ready and cleanse. Take the burden off of your body to regain lost health, lose weight, feel healthier, more youthful and help your body cleanse for life. Learn more about how to do a body cleanse and colon cleanse before you start any program.